Nowadays taking part in an Artist in Residence Programme supposes a desired stage for an artist career as it allows them to put their work in a global context. This model was born at the beginning of the XXth century and has grown widely during the last years with the globalization expansion, up to become essential for the international art market. In a moment where the art’s value gives priority to the process more than the final work, the Artist in Residence Programmes have turned into temples of works in progress and multiculturalism. 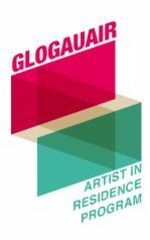 In GlogauAIR artists from diverse social and geographical backgrounds find a place to develop their works in a dynamic environment of coexistence, exchange of ideas and internationalization. At the same time they get to know a new culture and landscape in Berlin, getting influences from de city, which has became a pioneer place for contemporary culture. The non profit organization GlogauAIR was founded by the Spanish artist Chema Alvargonzález in 2006 with the intention to create a meeting point between artists from all disciplines to work in collaboration, expanding their practice in terms of materials, formats and style. The processes are shown every three months in an open studios exhibition where the public can see the works of the resident artists in a relaxed and festive event. Artists from all artistic disciplines (installation, video art, net.art, sculpture, creative writing, architecture, electronic music, painting, drawing, performance, photography, etc.) are invited to come as far as their project fits with our installations. Fourth times a year the artists can apply with a project for a residency for three or six months. The applications are evaluated by a jury formed by professionals from the Berlin art community. Moreover some artists are selected and granted by different institutions in their home countries, with which we have collaboration agreements. GlogauAIR ist eine gemeinnützige Organisation, die sich als interdisziplinäre Schnittstelle der Künste versteht. Die Residenz befindet sich in einem schönen, modernistischen Gebäude, welches als Schule entworfen wurde. Es war das erste Werk des Architekten Ludwig Hoffmann, der spätere Baustadtrat Berlins (1896-1924), Beginn einer Serie von Öffentlichen Gebäuden, Schulen, Parks, Brücken, Krankenhäuser und Museen. Das Pergamon Museums, das Märkischen Museums und die Stadthalle von Berlin waren seine wichtigsten Projekte. GlogauAIR ist ein Ort, der die Internationalisierung individuellen Kunstschaffens fördert und eine Debatte zwischen den Künstlern in Residence und der Stadt Berlin ermöglicht. Das Artists in Residence Programm gibt den Künstlern Gelegenheit, ihre Arbeit kritisch zu untersuchen und in einem globalen Zusammenhang zu vergleichen. GlogauAIR läd Künstler aus allen Disziplinen ein. Während den Berlin-Aufenthalt erweitern sie ihre künstlerische Praxis in Bezug auf Material, Format und Stil. Open studio-Events, Festivals für Musik und Videokunst, Gastvorträge, sowie andere informelle Aktivitäten erschaffen einen Dialog mit dem Publikum. Irene Pascual leitet das Atelierhaus GlogauAIR seit dem Jahr 2008. Sie selbst ist ausgebildete Bühnenbildnerin, Bildende, und Performance Künstlerin. Das Atelierhaus hat durch die Künstlerin eine warme familiäre Atmosphäre erhalten. Die Künstler profitieren von der interdisziplinären Sichtweise der Kuratorin, die ihren Gästen ebenbürtig und nicht als graue Eminenz entgegentritt.